I’ve had a terrific time visiting all of the blog hosts and reading and responding to reader comments. Each release has had its own vibe and I gotta say — even despite the uncertain future of the series — WHOJ’s release has been my favorite. Maybe it’s just that I’m getting to know the online book blogging community better (and they are getting to know me) or maybe it’s because I wasn’t a clueless newbie nor was I under enormous deadline pressure at release time. Regardless, I’ve had fun and I hope you have too. As a final thank you and one last chance for everyone to enter to win my awesome prizes, I’m listing all the blog tour participants below with dedicated links to each site and a brief description of topics. If you haven’t already checked out the posts, interviews, and reviews, please do! I am grateful to each and every tour participant and to Roxanne Rhoads at Bewitching Book Tours for setting it up. What else have I been working on? Among other things, I’ve been tinkering with my website. 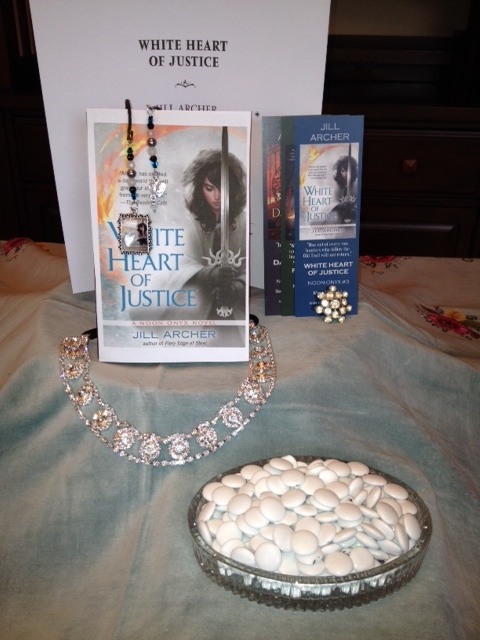 As promised, I added Discussion Questions for White Heart of Justice. If you read the ones for either Dark Light of Day or Fiery Edge of Steel, you know they contain MASSIVE SPOILERS. Pretty much the entire plot is revealed so don’t read them if you haven’t already read the book(s). Also, after nearly three years of blogging with the same header pic, I finally decided to change it. For those of you who get updates via email, I’m including the before and after pic. I also created a static landing page for my blog. It’s an experiment. I had been using my latest blog posts as a landing page, but it’s probably time to switch over to a static “hello, welcome, here’s who I am and what I write,” right? Check out the new static page here and let me know what you think. What’s next? Ha! Well, those of you who have been following along on the tour know that I’ve got at least two potential WIPs waiting in the wings: a Noon Onyx B4 and a new, fantastic, creepy-romantic “YA deuce” I’ve been working on (meaning I envision two books). An aside: lots of online noise lately about whether adults should read YA or not. Wow. Really? I’m not going to waste too much time on an articulate response, but the very idea of someone else telling me what I should or shouldn’t read is mind-blowing. My general approach to reading fiction for entertainment is READ WHAT YOU LIKE, PEOPLE. And don’t let anyone tell you to read anything different. At one time or another, readers of young adult, new adult, romance, science fiction, and fantasy have all been called out for their “odd tastes.” What do I do when I hear this sort of nonsense? Ignore, ignore, ignore…. (Now if you’re reading for educational purposes, the entire discussion changes, but that’s a discussion for another day). Keep calm and read on, my fellow genre lovers! * May 27 RELEASE DAY PARTY! Kalisto’s Crystal Palace and Raphael Sinclair’s Wish: I discuss how I created the setting for the “gearing up” scene. My inspirations? Snow globes, greenhouses, guardian angels, London’s Crystal Palace, whether and when wishes should be granted… and there’s an excerpt that sheds some light on my Rafe sneak peek tweet. Gifts from the Gods: What do rusty gardening tools and 1981′s Clash of the Titans have in common? What the heck is a daisy grubber? Did Noon’s mom really give her “one to grow on” in each book so far? Topic: What Is It With The Devil and Violins? Come read about The Fifth String, Norwegian fossegrimen, and Fiddler’s Green. BONUS: I share the original titles to each of the Noon Onyx books. WHOJ’s is the best! Wanna know what my very first favorite book was? I also talk about books in my TBR pile: past, present, and future. Topic: Noon’s missing tooth. Yep, Noon loses her tooth in Chapter 1. Come read about why I knocked it out and give me your opinion on über heroines: If you could choose only one word to describe your ideal heroine, would it be interesting, relatable, or admirable? If you could choose one book cover to put on your wall as a poster, what would it be? I also talk about how I came up with Noon’s name. Topics: Am I a pioneer of New Adult Fantasy? I also include a message for Spanish and international readers. The Noon Onyx Series: Urban Fantasy, New Adult… or Neither? No purchase necessary. Void where prohibited. 18 and over. 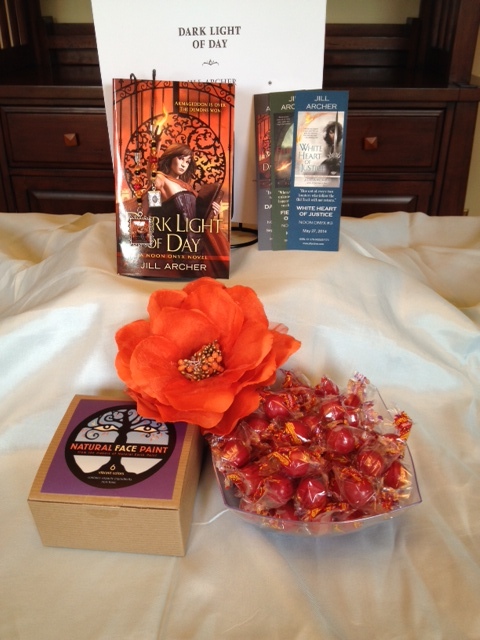 For official rules, please see my Giveaways page. 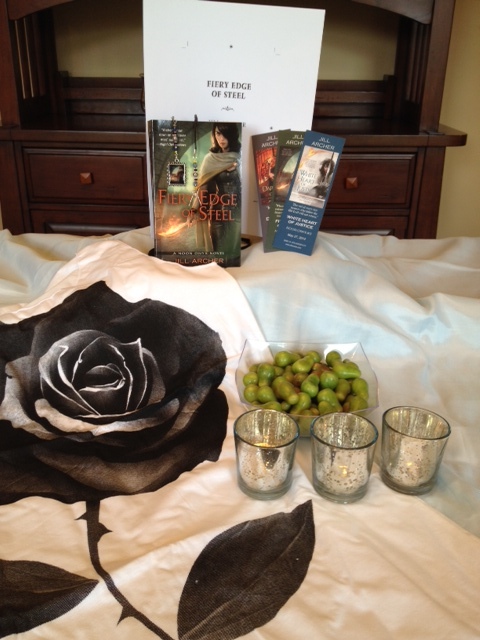 Previous Post Sneak Peek Tweet Contest Winner, DNFs, Book Cover Posters, Reviews, Cocktail Napkins, and Movie Quotes! Copyright 2011-2018 Black Willow, LLC. All rights reserved.